To assign a bulb to learners, go to the triple dot menu > Assign > set a Due Date. 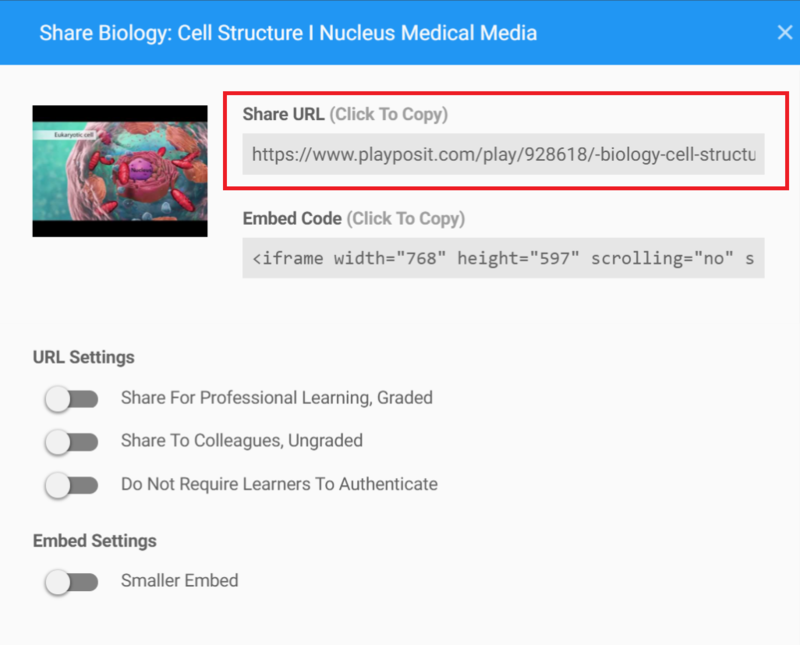 Learners will access assigned bulbs by entering login credentials on https://www.playposit.com. To change the date a bulb has been assigned, go through the same steps, but select a different due date. To unassign a bulb, go through the same steps, but select 'Unassign' at the bottom of the date selection calendar. To share a URL with registered learners, click on the triple dots menu and select Share. Learners will be prompted to login with their PlayPosit credentials to access the bulb. Data will be collected on the PlayPosit Monitor. 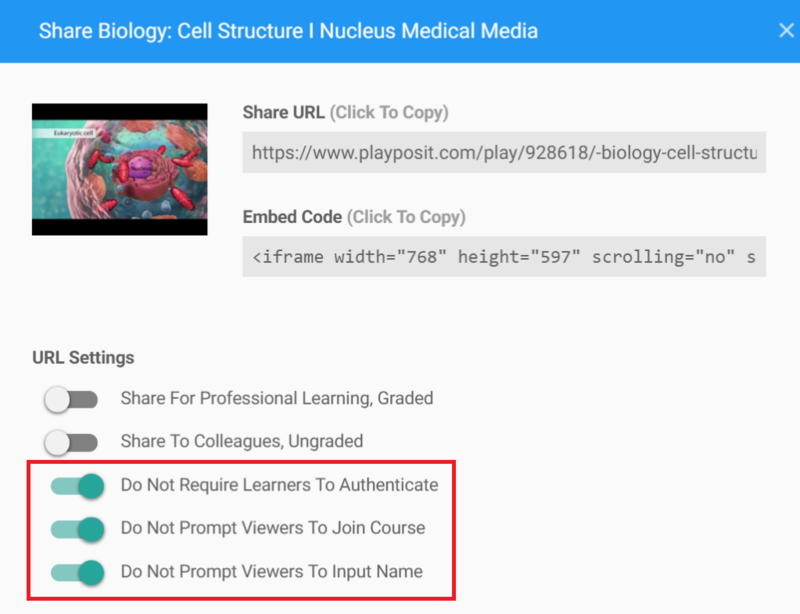 To share a bulb with learners who do not have a PlayPosit account, go to the triple dots menu > Share > enable Do Not Require Viewers To Authenticate, Do Not Prompt Viewers to Join Course, and Do Not Prompt Viewers to Input Name. Data will be collected on the PlayPosit monitor page. Note: Learners must complete the bulb in one browser session. Since they do not have login credentials, there is no way to resume progress once they have started. Note: If you do not want learners to select a course, enable Do Not Prompt Viewers To Join Course. Data will still be collected on the PlayPosit monitor page in the Unassigned course. 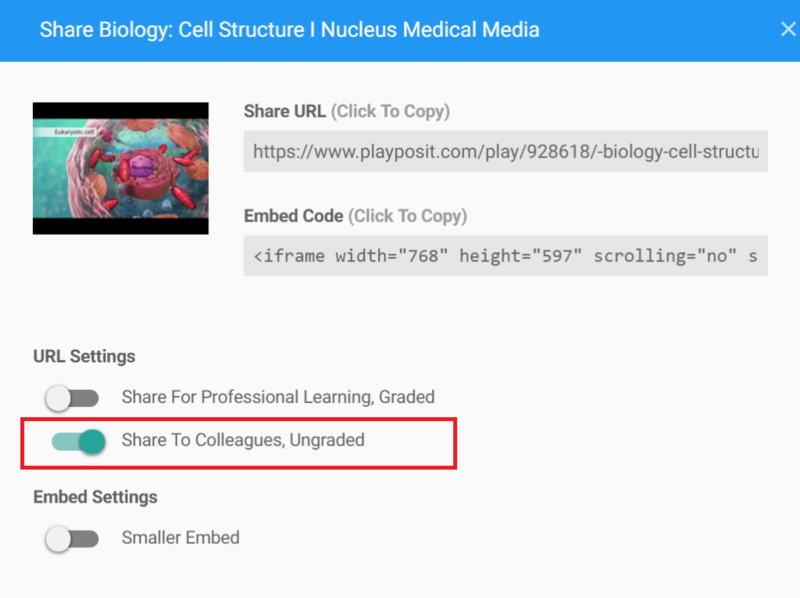 To share a bulb with colleagues and collaborate, go to the triple dots menu > Share > enable Share To Colleagues, Ungraded. Viewers will be able to access the bulb without entering PlayPosit login credentials. To embed a bulb on your course page, go to the triple dots menu > Share. 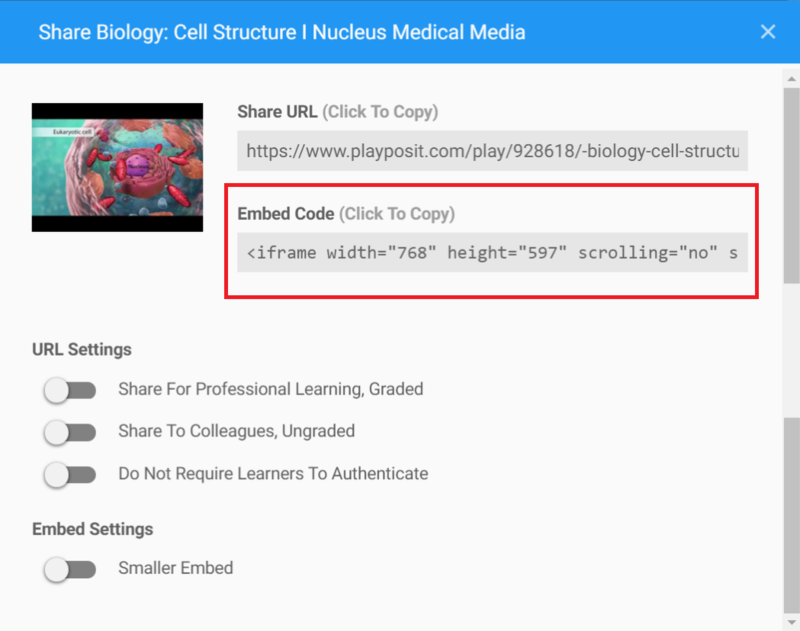 Adjust the URL and embed settings if needed.